Composing is special. Feel free to contact us with your own music, to record, mix and master it. However if you need a unique composition, for a special occasion we may help you. We deal with recording since 1998. Both – in the desired location, as well as in our studio recordings. We record bands, musicians, teachers and many more. 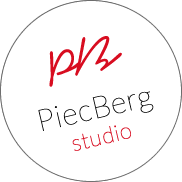 PiecBerg studio blog. Music, recording, mix and mastering.